Hi – You’ve reached the website of Dave and Sandra Begotka. This website has served us for many years. Here you’ll find everything we share online. 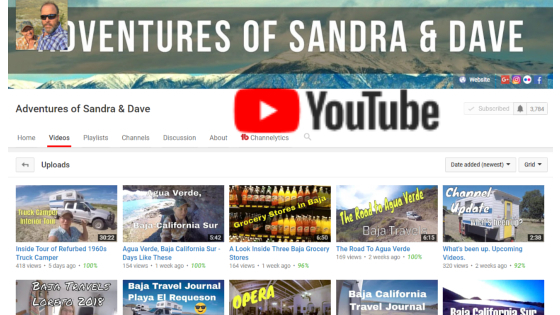 As of September 2018, we have over 400 videos on our channel. Your views, shares, likes, and comments help to make the channel a success. Go check it out! Sandra writes a blog here.